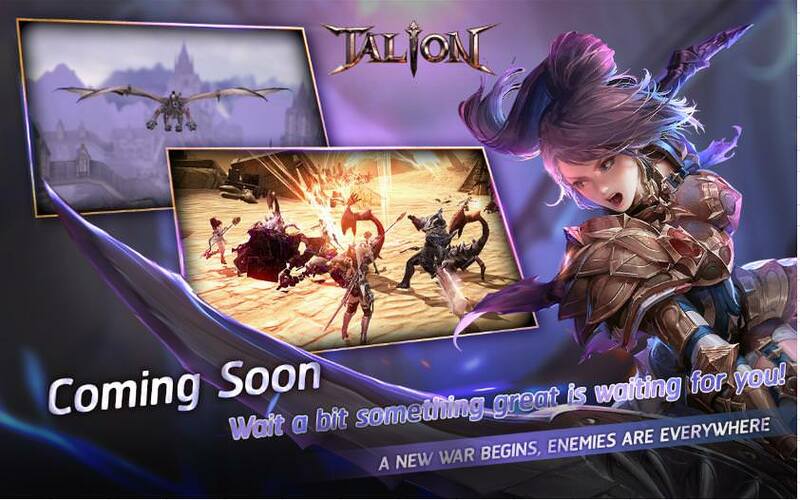 We are pleased to announce the Official Launch of TALION! Your patience is truly appreciated as you have all been waiting for the release! : You may be charged for additional data usage if you are not connected through a Wi-Fi connection. : We highly recommend that you play the game through a Wi-Fi connection. In addition, we will send out 200 Rubies to everyone in celebration of TALION official launch. : Rewards will be sent to your Mail. : Rewards will be kept for 7 days in Mail and deleted thereafter. : If you're not able to see your rewards in your Mail, please try relogging in. We look forward to seeing you in the vast and amazing world of Nar! Last edited by GAMEVIL_Notice; 09-14-2018 at 06:18 AM.